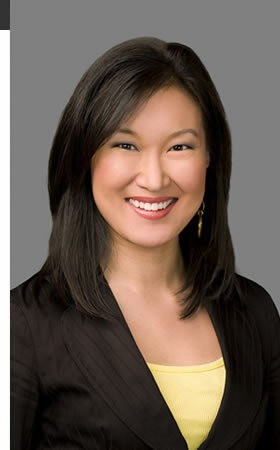 Kyung Lah is a National Correspondent for CNN based in Los Angeles. Lah returned to CNN US from CNN International in 2012. She has broken and covered a number of stories in both of her roles with the network. Lah traveled to Malaysia and Australia to cover missing flight MH370, to Malaysia and Ukraine for the crash of flight MH17, to Japan to cover the historic ambassadorship of Caroline Kennedy on the 50th anniversary of her father's assassination. She also traveled to the demilitarized zone of South Korea and covered the fears in Asia as the Democratic Peoples Republic of Korea escalated tensions with the US. Lah exclusively interviewed serial killer Joseph Paul Franklin shortly before he was executed on death row as well as a number of alleged sexual harassment victims of former US congressman Bob Filner. Lah has also reported on the Newtown massacre, the LAX shooting rampage, the Asiana plane crash, the historic Colorado flood and mudslides, and the Yarnell Hill fire that killed 19 firefighters. Before rejoining CNN US, Lah served as the Tokyo correspondent for CNN. In March 2011, Lah was in Tokyo as the 9.0 earthquake struck Japan. She remained in Japan covering the 15,000 killed in the tsunami and the world's worst nuclear disaster in 25 years at the Fukushima nuclear power plant triple meltdown. She was the first US broadcast journalist to be taken inside the meltdown at the one year anniversary of the disaster. Lah has reported extensively throughout East Asia, reporting stories of conflict and human struggle from China, Korea, Hong Kong, the Philippines, Malaysia, and Pakistan. Lah has interviewed numerous Japanese prime ministers as well as leaders from China and Pakistan. In May 2008 when a huge earthquake shook China's Sichuan Province, Lah flew to the epicenter. She reported breaking news, the visits of UN Secretary General Ban Ki-moon and China Premier Wen Jiabao, as well as remarkable stories of struggle and survival. Lah previously served as a national correspondent for CNN Newsource based out of Washington, D.C. Lah reported on live breaking news events from the nation's capital for approximately 800 CNN Newsource partner stations. Some of the stories she covered included the Jena 6 racial demonstrations and the Virginia Tech and Amish school shootings. Lah joined CNN Newsource from KNBC-Los Angeles, where she served as a morning news reporter for Today in L.A. and as a midday anchor. Prior to that, Lah was a reporter in Chicago at the CBS affiliate, WBBM. Lah also worked as a general assignment and long-form investigative reporter at ABC affiliate KGTV in San Diego, where she won a regional Emmy for specialty reporting. Her first reporting position was at CBS affiliate, WWMT in Kalamazoo, Mich.
Lah graduated with honors from the University of Illinois with a bachelor's degree in journalism. Lah was born in Seoul, South Korea and raised in Chicago.